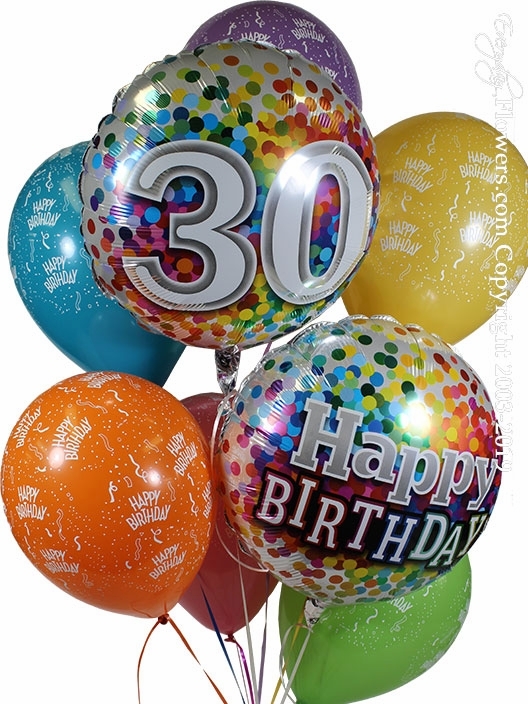 Celebrate a 30th birthday by sending a balloon bouquet created with a number 30 foil balloon and a matching happy birthday foil balloon. This bouquet also comes with six printed happy birthday latex balloons. This balloon bouquet is weighted with a sand filled weight and each foil balloon is individually weighted with its own weight. Our latex balloons are filled with Helium and Hi Float with matching colored ribbon.